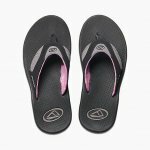 Designed specifically for a woman's active lifestyle. 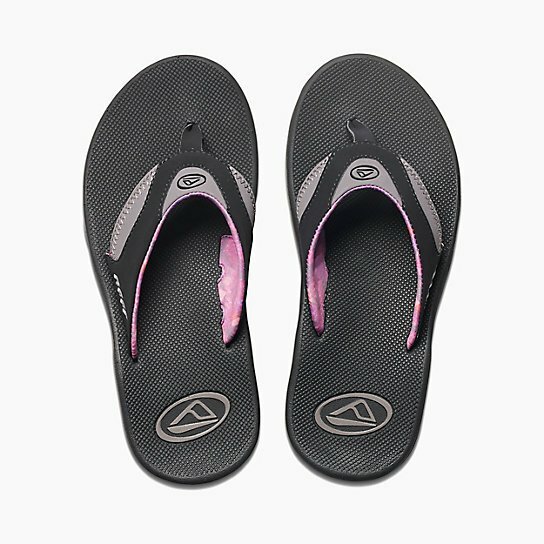 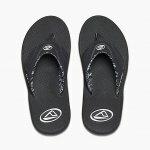 Inspired by legendary three-time world champ and perennial pro surfing powerhouse, Mick Fanning, the women's Fanning sandal is the ultimate athletic sandal. 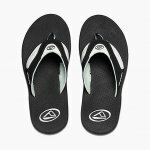 Mick relies on the contoured injection molded EVA footbed with anatomical arch support and full 360-degree heel airbag enclosed in soft poly, comfortable water-friendly synthetic nubuck upper, and Reef Icon Herringbone rubber outsole. 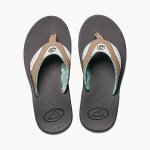 And in the fun department, these bottle opener sandals feature a church key built into the footbed to open your soda after a surf or hanging at the pool.